Of Mallory Beach, peacefully at Grey Bruce Health Services Wiarton on Wednesday September 3, 2014. The former Sarah Catherine MacLellen at the age of 85 years. Devoted and loving mother of Sheila and her husband Ronald Morrice, and John Adams, both of Wiarton. Cherished grandmother of Ronda-Lee Morrice, of Port Credit. Caring sister of Hugh MacLellen (Violet), of Halifax, and Bernard MacLellen, of Hamilton; and sister-in-law Alma Lynd, of Toronto. 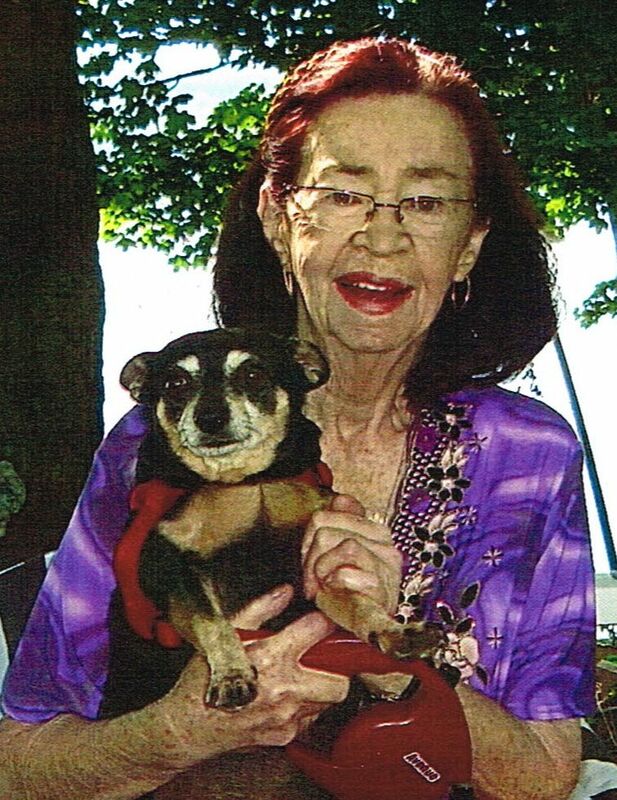 Sadly missed by her companion, her Chihuahua Anita. Predeceased by husband Larry Adams; partner Doug Sumner; brothers Thomas and George; and sisters Rose and Mary-Lou. Family invite friends to gather for a celebration of Sally’s life at the Thomas C. Whitcroft Peninsula Chapel, 272 Berford St., Wiarton (519) 534-5341 on Monday September 8, 2014 at 2 o’clock. Visitation one hour prior to service. Cremation has taken place. Interment in Colpoy’s Bay Cemetery. Donations to Bruce Peninsula Hospice Inc. or the Owen Sound Animal Shelter would be appreciated.